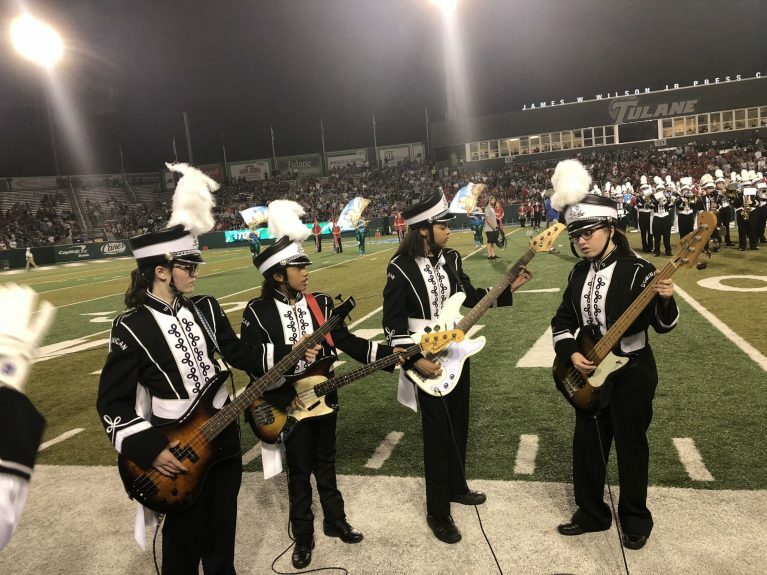 At Tulane University’s home game on September 8th, the Dominican Band joined other high school and middle school groups to perform at the annual Band Day. 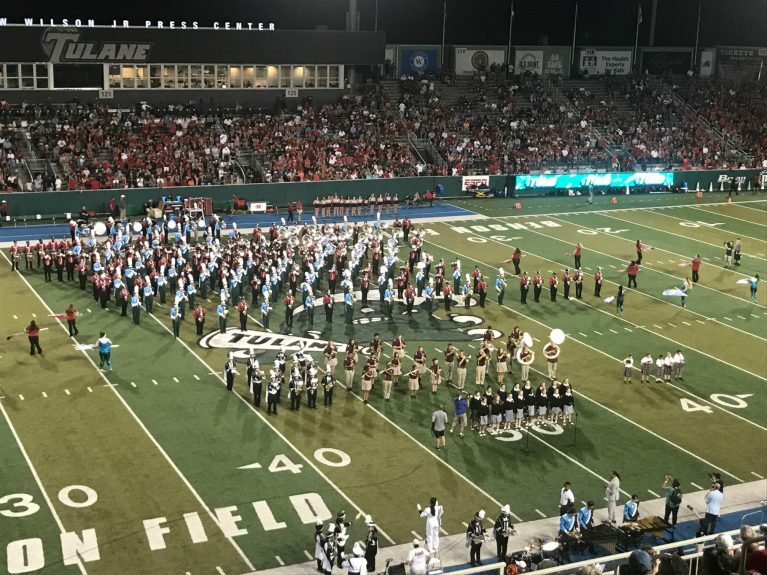 Hosted annually by the Tulane University Marching Band (TUMB), participants perform with TUMB at Yulman Stadium. Band Day is open to bands, including color guards, dance teams, and twirlers, plus choirs of any skill level. There are rehearsals in sections with TUMB members and instructors, as well as section members in other participating schools. Fine Arts Department Chair Brenda Castillo said that every year the school’s band and choir have been invited to perform at Band Day. During the pre-game show, the choir sings the National Anthem. Both band and choir perform at half-time. Dominican alumnae have participated on scholarship as members of TUMB. Photo provided by the Tulane University Marching Band.